And another hi-def hello to all our fellow blu-ray geeks. Welcome to the weekly look at our most wanted titles coming to blu-ray and/or 4K Ultra HD for the week of February 12, 2019. Things slow back down again this week on the blu-ray front after a gangbusters crop of titles hit hi-def last week. 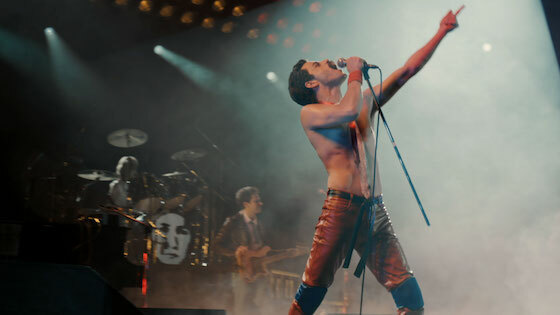 But what is lacking in quantity, is more than made up for in quality as we have four titles making home video debuts this week, including the 5-time Academy-Award-nominated Queen biopic (of sorts) Bohemian Rhapsody. But first, let's talk about a few other titles debuting on home video in the form of Tyler Perry's comedy Nobody's Fool starring Tiffany Haddish and Whoopi Goldberg which gets a Blu-ray + DVD + Digital Copy release from Paramount Pictures and Lionsgate's Vincent Van Gogh biopic At Eternity's Gate which debuts with a Blu-ray + Digital Copy release. 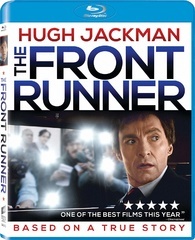 Also, Jason Reitman's political thriller starring Hugh Jackman, Vera Farmiga, J. K. Simmons, and Alfred Molina about the presidential run of politician Gary Hart is getting a Blu-ray + Digital HD release from Sony Pictures. The release will feature a filmmaker commentary, a featurette, and a few deleted scenes. Now, on to the catalog titles getting lots hi-def love this week. 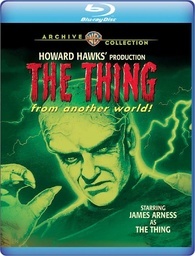 Warner Archive is making some noise with its release of 1951's The Thing From Another World which will feature a brand new remaster of the classic films that stars a pre-Gunsmoke James Arness as the titular "being." The title has been available only on Amazon since last month, but will hit regular retailer's shelves on February 12, 2019. Warner has also remastered the underrated 2004 Todd Phillips film Starsky and Hutch which stars Ben Stiller, Owen Wilson and Snoop Dogg. As expected, Shout Factory is on the game in a big way this week with a couple of releases getting new 2K remasters. 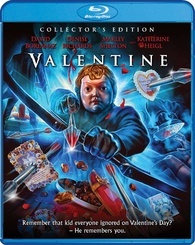 2001's Jamie Blanks horror Valentine is getting a spiffy Collector's Edition blu-ray release with new commentaries, and a ton of new interviews. 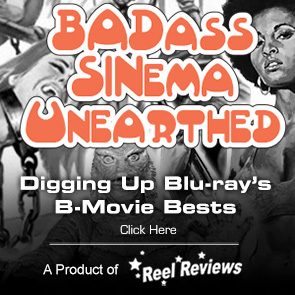 This is a for-sure-pick-up for the film's fans and blu-ray collector's alike. The company is also putting out the 4-movie The Poison Ivy Collection which all four of the films in the Poison Ivy franchise including Poison Ivy, Poison Ivy 2: Lilly, Poison Ivy: The New Section, and Poison Ivy: The Secret Society. Though a bit scant on extra features, hopes are high that the Katt Shea commentary proves to be as interesting as expected. Kino Lorber goes big this week putting out three classic films on two separate blu-ray releases. 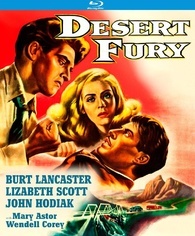 First up is the 1947 Lewis Allen crime noir Desert Fury which gets a new audio commentary by Film Historian Imogen Sara Smith. Next is a double-feature blu-ray release of F.W. 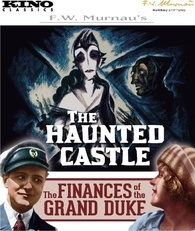 Murnau's films The Haunted Castle (1921) and Finances of the Grand Duke (1924). Included on the release is an audio commentary for The Finances of the Grand Duke by film historian David Kalat. 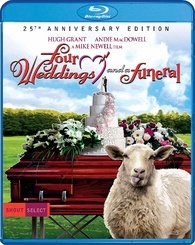 This year is the 25th anniversary of the release of Mike Newell's Four Weddings and a Funeral. And to celebrate the occasion, Shout Factory is putting out a 25th Anniversary Edition of the film which includes a new 4K remaster for the original camera negative plus a new interview with Director Of Photography Michael Coulter. 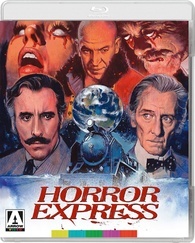 And finally, the 1972 horror film starring Christopher Lee called Horror Express has been exclusively restored and released by Arrow Films with a new 2K restoration from the original 35mm camera negative. The release also includes all of the supplements that were included on the Severin release from several years ago as well as a new audio commentary featuring Stephen Jones and Kim Newman in addition to a new appreciation interview from filmmaker Steve Haberman. But wait! that's not all. For the second week in a row, 20th Century brings us our Most Wanted title on blu-ray / 4K Ultra HD this week. 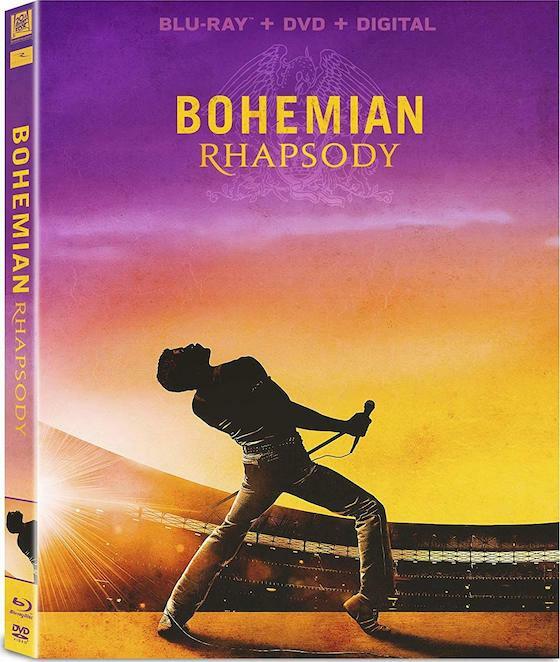 The Queen biopic Bohemian Rhapsody is coming to home video in a number of different formats and packaging options including 4K Ultra HD + Blu-ray + Digital HD, Blu-ray + DVD + Digital Copy, Best Buy Exclusive SteelBook / 4K Ultra HD + Blu-ray + Digital HD, Target Exclusive with 24-page Gallery Book / 4K Ultra HD + Blu-ray + Digital HD, and a Target Exclusive DigiBook / Blu-ray + DVD + Digital Copy edition. Trying to get back on her feet, wild child Tanya (Haddish, Girls Trip) looks to her buttoned-up sister Danica (Tika Sumpter, Ride Along) to get her life together. As these polar opposites hilariously collide, Tanya discovers that Danica's picture-perfect life — including her online romance — may not be what it seems. With the aid of her eccentric mother (comedy legend Whoopi Goldberg), Tanya will do whatever it takes to help…even if it means completely blowing up her sister's life! Omari Hardwick (Power) and Amber Riley (Glee) also star in this side-splittingly funny hit. Introduction by Tyler Perry & Tiffany Haddish – A special message from the writer/director and the star of Tyler Perry's Nobody's Fool. Deleted, Extended & Alternate Scenes – Over 20 minutes of even more outrageous footage you didn't see in theaters! Tale of Two Sisters – Find out how the movie's two sisters clash and collide with hilariously disastrous results. Mocha Latte Extra Laughs – Laugh along as Omari Hardwick's character battles it out in a catastrophic love triangle! I'm Just Trusting Tyler Perry – Watch Tyler Perry in action on set. She Ready or Not: Here Comes the Wedding Crasher – Go inside the laugh-out-loud funny scene where Tanya crashes her sister's ex-boyfriend's wedding! Bring the Funny – Catch up on the hilarious scene where Tiffany Haddish's character is fresh out of jail. Breakfast with Tiffany – You heard it here first: Tiffany Haddish, Tika Sumpter, Omari Hardwick and Amber Riley give the scoop behind-the-scenes of Tyler Perry's Nobody's Fool. "Something New From Tyler Perry" Perfume – Watch this side-splittingly funny faux commercial for Tyler Perry's Nobody's Fool. 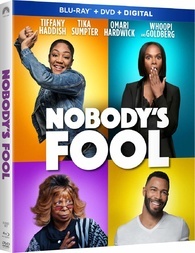 "Catfished" Perfume with Outtakes – Enjoy this hysterical fake commercial for Tyler Perry's Nobody's Fool with Tiffany Haddish. 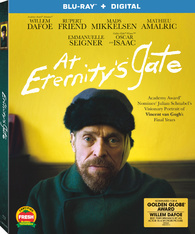 Julian Schnabel's At Eternity's Gate is a journey inside the world and mind of a person who, despite skepticism, ridicule and illness, created some of the world's most beloved and stunning works of art. This is not a forensic biography, but rather scenes based on Vincent van Gogh's (Academy Award® Nominee Willem Dafoe) letters, common agreement about events in his life that present as facts, hearsay, and moments that are just plain invented. Gary Hart, a U.S. senator from Colorado, is the widely accepted front-runner in the race for the Democratic presidential nomination. After losing the 1984 nomination to vice-president Walter Mondale, Hart decides to run for President of the United States. At one point during his campaign, against the will of his manager Bill Dixon, Hart challenges the press and public to "follow him around" while he's not campaigning on weekends. This proves to be a mistake when in 1987, photos of him and journalist Donna Rice are published by Miami Herald Reporters. In a desperate attempt to clear his name, Hart tries to fix his reputation at a news event concerning the affair but to no avail. Because of the consequences of his actions, Hart is disgraced, berated by Dixon, and forced to drop out of the campaign while his wife Oletha remains to be close with him. 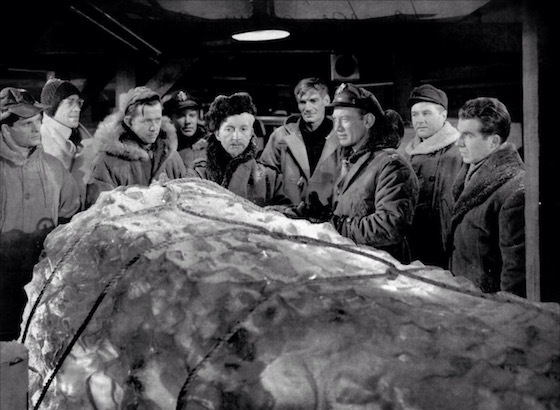 Donna also announces that she has personally denied sleeping with the now former senator..
Arctic researchers discover a huge, frozen spaceling inside a crash-landed UFO, then fight for their lives after the murderous being (a pre-Gunsmoke James Arness) emerges from icy captivity. Will other creatures soon follow? The famed final words of this film are both warning and answer: "Keep watching the skies!" A snappy ensemble. An eerie theremin-infused Dimitri Tiomkin score. Rising suspense. Crisp Christian Nyby direction. All merge in an edgy classic produced by Howard Hawks (Bringing Up Baby, Rio Bravo) and filled with Hawksian trademarks of rapid-fire dialogue and of people united by do-or-die stress. Keep watching the skies and the screen. Don't miss a moment of "one of the best sci-fi thrillers of the '50s" (John Stanley, Creature Features). Be my Valentine … or else. Broken hearts and other mortal wounds await a cast of contemporary young stars when they play dating-scene veterans dying for love in this humor-laced, twist-filled thriller cleverly directed by Jamie Blanks (Urban Legend) and starring David Boreanaz (Angel, Bones), Denise Richards (Starship Troopers), Marley Shelton (Scream 4, Planet Terror), Katherine Heigl (Grey's Anatomy) and more. Cards, candy and flowers are nice. But for fans of stalker-shocker terror, there's nothing like a Valentine. Lewis Allen (A Bullet for Joey, The Uninvited) directed this classic film noir in Technicolor, starring Lizabeth Scott (Pitfall), Burt Lancaster (I Walk Alone), John Hodiak (Lifeboat), Mary Astor (The Maltese Falcon) and Wendell Corey (Harriet Craig). Eddie Bendix (Hodiak) and his henchman, Johnny Ryan (Corey), two gangsters in the gambling trade, return to a small desert town outside of Reno. Years ago, Eddie had left town under suspicion of murdering his wife and after running into some trouble in Las Vegas, Eddie now hopes to get involved with the local gambling house whose proprietor is his ex-flame Fritzi Haller (Astor). To complicate matters, Eddie falls for Fritzi's daughter (Scott), who used to be involved with the local lawman Tom Hanson (Lancaster), who's still in love with her. A hunting party is interrupted by the arrival of a notorious Count (Lothar Mehnert), who is believed to have murdered his brother. The uninvited guest sets in motion an elaborate plot to resurrect the ghosts of the past and bring to light the dark secret that lies at the center of his brother’s death. Harry Liedtke stars as a “benevolent dictator” who must preserve the tiny nation of Abacco by fending off creditors, wooing a wealthy Russian princess (Mady Christians), and evading a band of demonic conspirators (including Nosferatu himself, Max Schreck). Synopsis: Here comes the fuzz! Starsky takes the wheel, Hutch rides shotgun, and comedy runs wild in this hilarious twist on the landmark buddy-cop TV show. "Fashion Fa Shizzle Wit Huggy Bizzle"
Charlie (Hugh Grant, Bridget Jones's Diary) is a charming bachelor and frequent best man at the string of weddings he attends with his friends. Carrie (Andie MacDowell, Groundhog Day) is an enchanting American who catches his eye just as she is about to marry the wrong man.